Alexa J. Hohensee, Administrative Law Judge (ALJ), Office of Administrative Hearings (OAH), heard this matter on March 27, 28 and 29, 2012 and April 2, 2012, in Carlsbad, California. 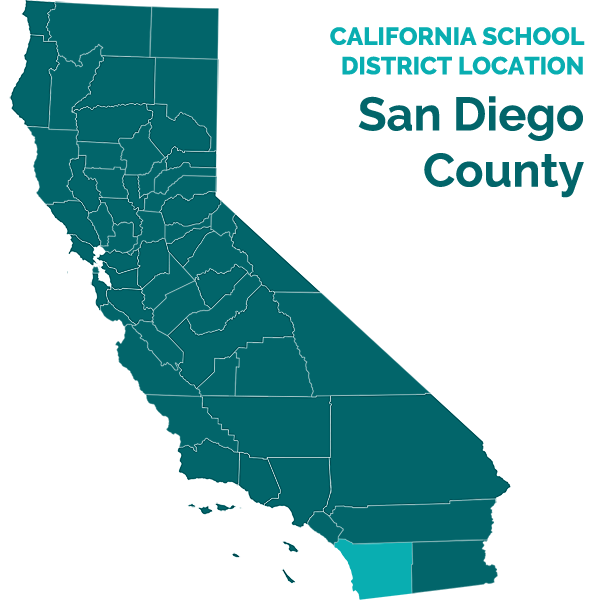 Attorney Jonathan P. Read of Fagen, Friedman & Fulfrost, LLP, represented the Carlsbad Unified School District (District). District representative, Tim Evanson, District’s Coordinator of Special Education, attended all four days of hearing. Attorney Michael E. Jewell of the Law Offices of Michael E. Jewell, APLC, represented Student. Student’s father (Father) and mother (Mother) (jointly, Parents) attended all days of hearing. District filed its request for due process hearing (complaint) on December 9, 2011. On December 29, 2011, for good cause shown, OAH granted the parties’ joint request to continue the due process hearing and set the first day of hearing for March 27, 2012. At the end of the hearing on April 2, 2012, the ALJ granted the parties’ joint request for a continuance to April 16, 2012, to file written closing argument and a stipulation identifying Student’s contentions. The parties submitted closing briefs within the time allowed, and the record was closed on April 16, 2012. 1. Student was nine years old at the time of the hearing, and in the third grade for the 2011-2012 school year. At all relevant times, Student lived within the boundaries of District and was eligible for special education as a child with autism. Student has also been diagnosed with apraxia, a speech disorder. 2. By all accounts, Student is a happy child and well respected by his peers. He is hard working, compliant and eager to please. Student interacts with peers and adults, but has difficulty initiating those interactions, engaging in social conversation and speaking clearly. Student does not engage in misconduct, although he occasionally hums during unstructured classroom time or when the teacher is reading aloud, and may cry if he becomes frustrated. Student likes routines, but transitions well between activities and locations at school. Student is easily distracted, and needs frequent redirection to focus in class. 1 The issue in District’s complaint has been restated for the purpose of clarity. A typographical error on the front page and header of the IEP identifies it as dated September 22, 2011, although it was developed at IEP team meetings on September 27 and November 1, 2011. On the first day of hearing, Student filed a motion to dismiss District’s complaint on two grounds: that (i) no September 22, 2011 IEP exists, and that (ii) District is improperly attempting to incorporate into its FAPE offer a post-IEP plan to transition Student’s nonpublic agency (NPA) aide to a District aide. The ALJ took Student’s motion under submission, and District responded to Student’s motion in its closing brief. As discussed below in the Factual Findings, all witnesses who attended the IEP team meetings, including Father, unwaveringly testified that Student’s IEP was developed on September 27 and November 1, 2011. Every signature on the attendance page of the IEP is dated September 27 or November 1, 2011. An October 3, 2011 email from District to Parents attached a draft of the IEP that displayed the incorrect date of September 22, 2011 on its front page and header. Parents were on notice no later than October 3, 2011, that the IEP was incorrectly dated September 22, 2011, and suffer no prejudice from defending against District’s complaint. Student’s second ground for dismissal requires a factual inquiry into the content of the IEP, and special education law does not provide a pre-hearing procedure for summary adjudication of a portion of a claim. Student’s motion to dismiss is denied. The IEP will be referred to in this decision by the correct dates of September 27 and November 1, 2011 and Student’s contention regarding a post-IEP procedural violation involving the transition plan is addressed on the merits in this Decision. 3. Since kindergarten, Student has been placed in general education classrooms, with pull-out classes in specialized instruction and speech and language (SL) therapy, and the assistance of a one-on-one aide throughout the school day. Student’s aides have been provided by a non-public agency (NPA), Innovative Therapy 4 Kids (Innovative). District contracted with Innovative during Student’s kindergarten year because it did not have enough District aides for its students. At the time of hearing, Innovative continued to provide an instructional aide for Student under that same contract, which included six hours per month of aide supervision by Innovative. 4. When Student was in kindergarten, Parents were informed by Student’s instructional aide that Student’s teacher at Buena Vista Elementary School had lost her temper and raised her voice to Student while gripping Student’s wrists so hard that red marks appeared (the kindergarten incident). The District did not independently inform Parents of the kindergarten incident, and Student was not verbal when it occurred. 5. After the instructional aide reported the kindergarten incident to Parents, Parents feared that Student could be further inappropriately disciplined or abused by District staff without Parents’ knowledge unless Student had an instructional aide who felt free to report such incidents without fear of reprisal, that is, an aide employed by an NPA and not answerable to District. With the intent of ensuring their son’s safety, Parents arranged for Student’s transfer within District to Hope Elementary School (Hope Elementary). 6. Despite the lack of further discipline or safety incidents, and Student becoming a verbal young man, Parents continue to distrust the District, and want an NPA instructional aide who will report to them regarding Student’s school day. 7. Parents are caring and loving parents, who want the best for Student. Father fondly refers to Student as his best friend. Parents have spared no expense in attempting to maximize Student’s potential. Parents have built a small duplicate of Student’s classroom in their home, with a desk and features identical to those at school. Since Student entered kindergarten, Parents have privately contracted with Innovative to provide Student with after-school home instruction, using the same one-on-one aide Innovative provides to Hope Elementary. Parents also provide Student with clinical SL therapy and occupational therapy (OT) through Innovative. Student has three aides assisting in his home program. 8. Father’s job often requires him to travel and be away from home. If Father is away, District arranges for Father to participate in Student’s IEP team meetings by conference call, and Father is the primary correspondent with the District on Student’s educational program. 10. At the beginning of Student’s first grade school year, the 2009-2010, District began comprehensive assessments of Student for his triennial IEP team meeting due in October 2009. Concurrently, Parents privately funded assessments by the Semel Institute for Neuroscience and Human Behavior, Stewart and Linda Resnick Neuropsychiatric Hospital at the University of California Los Angeles (UCLA), and revoked their consent to all District assessments. Parents provided District with the results of UCLA’s assessment of Student’s independent functioning, cognitive and academic achievement. Student’s October 2009 triennial IEP team reviewed UCLA’s test scores, partial (pre-revocation) academic testing performed by District’s resource specialist Juanita Bass (Bass), and present levels of performance (PLOPs) summaries from Student’s clinical SL therapy and OT programs. 11. In January 2010, Innovative’s clinical speech pathologist, Colleen Nolan (Nolan), who was also the supervisor of Student’s aide in Student’s school and home program, conducted testing on Student’s expressive and receptive language, and concluded that Student was a visual learner, had difficulty with social interactions, and had reduced intelligibility due to apraxia. Nolan also conducted an augmentative alternative communication (AAC) evaluation of Student. 12. Nolan has a bachelor’s degree in psychology, and a master’s degree in communication disorders. She obtained her speech language pathologist license in 2004, and has worked for Innovative since that time, except for one year (2006-2007) during which she trained at a hospital day school for children with severe language and articulation disorders on implementing AAC systems. She has worked with Student since he was two and a half years old as a clinical speech pathologist, and has been the supervisor of Student’s instructional aides at school since kindergarten. Nolan strives to create the “best environment possible” for Student across his clinic, home and school programs, and wants to see him progress to the best of his ability at school. 13. Nolan’s testimony regarding Student’s speech and language abilities was given great weight. However, Nolan is not a credentialed teacher, and school districts are not required to maximize a student’s abilities or provide the best possible program, and Nolan’s opinions regarding Student’s educational needs and how educational services should be delivered were given less weight than those of District’s credentialed speech and language pathologist and experienced educators. 14. The purpose of the AAC evaluation was to investigate use of an AAC/speech generating device (SGD) as a back-up to Student’s expressive speech, and to determine the “best fit” for Student’s communication needs. The report noted that Student had made significant gains in expressive and receptive language abilities, but that his intelligibility and lack of social interactions were areas of need. Nolan recommended use of an iPad with Proloquo2Go software, and the District was provided with a copy of the AAC assessment. Student’s trial of the Proloquo2Go at school was not successful, as he often forgot the iPad in his backpack, he often deleted programs that Nolan had spent hours installing, Student and other students would “stim” on the iPad, and Student was becoming more and more verbal and did not need an SGD. 15. In March 2010, Innovative abruptly changed Student’s instructional aide, both at school and at home, for a two-week period. The interim aide was a credentialed teacher and reading specialist with no home program training. Student handled the aide transition well. 16. The interim aide was replaced by Angela Kuzara (Kuzara), who remained as Student’s instructional aide into the second grade. Kuzara recalled at hearing that the transition was structured so that she “overlapped” with the interim aide for one week before she began working with Student directly in the second week. Kuzara testified that it took a month or two for Student to trust her and stop testing her, but that this was typical of any second grade student. Student handled the aide transition to Kuzara well. 17. Kuzara obtained a bachelor’s degree in psychology in 2009, and is now in a master’s degree program in clinical psychology. She worked as an aide “with behavioral emphasis” in two programs prior to becoming a behavior specialist at Innovative.2 Kuzara found that Student was very visual, and when Student became distracted, gestural and visual prompts were effective in getting him to attend. Kuzara considers verbal prompts to be very intrusive. Kuzara is critical of adults who use verbal prompts, and criticized Student’s SL pathologist at Hope Elementary, Sara Christian (Christian) for using verbal prompts. Kuzara is also critical of the interactions of Student’s second grade instructional specialist, Bass, with Student because Bass is “a reading specialist…not a behavior specialist.” Kuzara is not a credentialed teacher or a licensed speech pathologist. Kuzara testified by telephone, and sounded honest and forthcoming. Her testimony concerning her transition to Student’s aide and her observations of Student in second grade, were given great weight. However, in light of her lack of credentials in speech pathology and the dearth of factual testimony regarding events supporting her perceptions of the purposes of verbalizations by Christian during speech therapy, her opinions concerning verbal prompts by Christian were given very little weight. 18. Innovative’s aide transition training consisted primarily of training on data collection. Innovative would not let an aide work alone with Student until the aide had demonstrated sufficient accuracy in collecting data on Student’s behaviors. Innovative’s transition focus was on ensuring consistent data collection, and not on Student’s comfort level with the aide or the aide’s ability to work with Student. 19. In August 2010, District staff notified Parents that District had hired a District instructional aide for Student, but Parents requested that the decision to replace Kuzara be deferred until Student’s annual IEP team meeting at the beginning of Student’s second grade year. 2Kuzara’s resume states that she was a “Behavior Specialist” at Innovative while working with Student. 20. An IEP team meeting was held on October 26, 2010. At the meeting, the IEP team discussed a gradual transition for Student from an NPA instructional aide to a District aide by the end of the 2010-2011 school year. Parents did not want the transition to occur, and did not consent to the IEP. District did not implement the instructional aide change. 21. On February 17, 2011, Parents gave consent for District to implement the annual goals in the October 26, 2010 IEP, which included goals for vocabulary, reading, question comprehension, mathematics skills, writing skills, study skills, concept development, pragmatics, social language, behavioral skills (independently follow routine, stay with class and transition with class), and articulation. Parents wrote onto the IEP in February 2011 that they wanted the discussion of the aide transition to take place at the IEP team meeting at the beginning of Student’s third grade year. 22. In March 2011, District conducted a motor/psychomotor assessment of Student, primarily to determine if Student qualified for a vision therapy program given through the North Coastal Consortium for Special Education (NCCSE). District’s occupational therapist, Ann Jordan (Jordan) conducted the assessment. 23. Jordan has a bachelor’s degree in occupational therapy, and has been a licensed occupational therapist for over 30 years. She works for NCCSE, and has been serving District and other school districts as an occupational therapist for over five years. She has worked with children on the autism spectrum, and is familiar with the impact autism has on a student’s visual and motor abilities. Jordan is trained and knowledgeable in administering the Berry-Buktenica Developmental Test of Visual-Motor Integration (Berry VMI), a test to assess the extent to which an individual can integrate their visual and motor abilities using a paper-pencil task that requires them to copy shapes in a prescribed space and manner. Elementary school students are required to use their visual and motor abilities in pencil-paper tasks in the classroom, and the Berry VMI is a commonly used assessment instrument. 24. Jordan used a variety of assessment tools and strategies to gather relevant, functional, developmental and academic information on Student. She observed Student in his classroom, and interviewed Student’s teacher and instructional aide, Kuzara. Jordan administered the Berry VMI to test Student’s visual motor integration, as well as supplemental tests of the Berry VMI to assess Student’s visual perceptual and motor performance. Jordan had been told that Student’s writing performance decreases when he rushes, and Jordan arranged for instructional specialist Bass and aide Kuzara to be present when Student performed the tests and to provide him with the verbal and physical assistance as necessary to understand instructions and pace himself. Jordan found the results valid for Student. 25. Student obtained an average score in visual-motor integration, average in visual perception, and slightly below average in motor coordination, the last task. Jordan attributes the low motor coordination score to Student rushing to finish the test. Jordan concluded that Student had the functional skills to track text in order to read at age level speed, and wrote with functional legibility and good spacing, except when he was rushing. Student’s teacher and Father reported to Jordan that Student tracked a ball well, and enjoyed playing catch and baseball. She also told Jordan that Student had difficulty copying work well from the board, but that his peers had the same difficulty. Student did not squint or close his eyes during testing. Jordan determined that Student’s visual perceptual skills, reading fluency, visual tracking during reading and near point copying were at age level. Jordan concluded that Student had functional visual-motor and visual perceptual skills for the educational setting. 26. Jordan presented her assessment results at an IEP team meeting for that purpose on March 30, 2011, attended by Parents, Jordan, Bass, general education teacher Brooks and the principal of Hope Elementary, Richard Tubbs (Tubbs). 27. An IEP team meeting was held on May 26, 2011 to discuss Student’s move into third grade. Parents requested that the IEP team delay discussion of the transition of Student’s NPA instructional aide to a District aide until Student’s annual IEP team meeting the beginning of third grade. The notes to that IEP team meeting, signed by Parents, stated that the next IEP team meeting was scheduled for September 27, 2011. 28. That summer, Kuzara notified Innovative that she was moving to New York, and in August 2011, Innovative hired Jason Peterson (Peterson) to replace Kuzara. Peterson received one week of training in applied behavior analysis (ABA) principles and data collection from Innovative, and one week of overlap with Kuzara prior to becoming Student’s aide. Student handled the transition well. 29. Peterson obtained his bachelor’s degree in psychology in 2008, and his masters’ degree in psychology in 2011. He has attended 40-hour trainings on ABA principles for two employers. Peterson testified that it was important to Innovative that he be capable of accurately collecting data on Student’s performance on behavioral tasks, a common ABA technique, before he worked with Student alone. Peterson testified that he preferred to use a verbal prompt to redirect Student’s attention, calling out Student’s name in a loud “stern” voice. Student’s general education third grade teacher, Ann Lovick (Lovick), his third grade instructional specialist, Christina Harway (Harway), and speech pathologist Christian testified consistently that Peterson uses this loud verbal prompt throughout the day, which draws attention to Student, disrupts classroom teaching and distracts the other students. They also testified consistently that Student now frequently turns to Peterson for guidance prior to responding to other adults. 30. Other witnesses who testified concerning the “prompt hierarchy,” including Innovative’s director Laura Walls (Walls), speech pathologist and aide supervisor Nolan, aide Kuzara, instruction specialist Bass, speech pathologist Christian, and instruction specialist Harway, consistently testified that natural cues (such as pointing at an item under discussion) and gestural prompts are less intrusive and a desirable means of redirecting a student. Verbal prompts and physical prompts (such as moving an arm or pushing) are more intrusive and a less desirable means of redirecting a student. Among verbal prompts, a loud prompt is more intrusive and less desirable than a quiet prompt. In summary, the prompt hierarchy from less intrusive to most intrusive is: natural cues, gestural, soft voice, loud voice, physical. 31. Peterson is not a credentialed general education teacher, a credentialed special education teacher, a licensed language and speech pathologist, or a credentialed school psychologist. Nonetheless, he testified that he is “teaching” Student in third grade, not the teachers. Peterson’s lack of credentials and experience in educational instruction, speech therapy or school psychology, and his disregard of the basic prompt hierarchy as described by multiple witnesses, seriously undermined his credibility and persuasiveness. His criticisms concerning the competence of Student’s teachers and speech pathologist in interacting with and teaching Student were given very little weight. 32. Student began third grade in Lovick’s general education classroom, with specialized academic instruction in the Learning Center with Harway, and individual and group SL therapy with Christian, as provided in the October 26, 2010 IEP, as consented to by Parents in February 2011. Student also had the support of Peterson, from Innovative, as his full-time, one-on-one aide. 33. Student’s teachers and service providers soon began experiencing difficulties in interacting with Student’s instructional aide, Peterson. General education teacher Lovick and instructional specialist Harway testified persuasively and consistent with each other that Peterson disregarded their directives in the classroom, and undermined their authority as teachers. If they requested that Peterson use a specified method to pre-teach or re-teach a concept covered in class, or a socialization technique at recess or on the playground, Peterson would inform them that he had to check with Innovative supervisor Nolan first, which often took several days. Requests for specific accommodations for the Student during classroom lessons and activities also had to be cleared through Nolan, creating disparities and delays between Student’s lessons and those of his peers. 34. The special education staff at Hope Elementary uses a multi-disciplinary, collaborative approach to serving students with special needs. The school psychologist, special education teachers, speech pathologist, occupational therapist, physical therapist and instructional aides meet weekly to address any issues that have arisen over the past week, and consult with each other as required by the IEPs of their students. Because Lovick and Harway work at Hope Elementary each day, and the school psychologist, speech pathologist and occupational therapist are on campus several days each week, the team members often collaborate informally throughout the week. The teachers also meet with the District instructional aides daily and weekly to discuss pre-teaching and re-teaching strategies, and accommodations or modifications to curriculum for the upcoming week. The special education staff has experience working with children on the autism spectrum, and Lovick, Harway and Christian, in particular, are educators well practiced in prompting and redirecting students for appropriate social interaction and attention to instruction. 35. Peterson was not authorized by Innovative to leave Student’s side for collaborative meetings, as he Nolan had directed him to collect data on Student’s behavior throughout the day. Peterson was not available to meet with Student’s teachers after school, because he worked in Student’s privately-funded after-school home program. Setting up a schedule to include Peterson in the weekly meetings to review Student’s progress and discuss strategies for upcoming lessons took several months, during which time Student’s aide Peterson was not participating in the collaborative meetings. 36. Peterson also refused to take breaks during the school day, despite employment mandates enforced by principal Tubbs. Innovative insisted that only an Innovative aide, and not a District instructional aide, could provide Peterson with a break. It took Innovative many weeks to arrange coverage for Peterson’s breaks, in part because all adults working on a District campus are required to obtain and submit proof of a negative tuberculosis (TB) skin test. There was no evidence that Student had any difficulty with aide transitions during Peterson’s breaks. 37. Tubbs and District witnesses testified consistently and persuasively that providing breaks for District instructional aides is easily accomplished because multiple District instructional aides are already on the Hope Elementary campus. District instructional aides are also available after school for collaborative meetings. 38. Lovick’s experience with District instructional aides in her general education classroom is one of seamless interaction, and she feels they are “100% supportive of the classroom.” Harway struggled to get Peterson to use the correct materials to support the Reading Counts reading program, but has not experienced the same difficulties with District instructional aides, who are familiar with the curriculum and follow teacher directions. 39. At hearing, Innovative director Walls testified that by providing the aide to both school and privately-funded home program, Innovative ensures “continuity of care” for Student in the home and at school. Nolan, the aide supervisor, testified that it was her understanding that within the general education setting, Peterson provides the instruction to Student and determines which accommodations to use based upon Peterson’s clinical opinion and training. 40. Innovative keeps school staff informed of strategies, protocols and techniques used in the home and clinical programs, but if Student’s teachers do not adopt the same approach, Innovative directs its aide to follow Innovative’s program which, in Walls’ words, effectively “drive[s] the program” for Student at school. Innovative was supervising Student’s school aide to support Student’s privately-funded home and clinic programs, and not to support Student’s teachers, or their instruction in the classroom. The data collected by Student’s aide during school hours was not collected at District’s request, and was not provided to District, and would be “filtered” by Walls if District requested a copy. Neither Walls nor Nolan are certified general education or special education teachers. 41. Learning Center teacher, Harway, has dual credentials in specialist instruction and multiple subject/learning handicapped instruction. She earned a bachelor’s degree in psychology in 1991 and a master’s degree in special education in 2000, and has been a special education teacher for nine years. She worked for two years as a behavior intervention aide in an ABA home program for a young boy with autism, and is familiar with ABA and ABA data collection techniques. Harway works on academics in the Learning Center, and is the case manager for third grade students with IEPs. Harway is Student’s case manager. She directs the instructional aides for third grade special education students, has the aides take data samples to check student progress on IEP goals, and collaborates with the students’ teachers and service providers to make accommodations and ensure the students’ success. 42. Harway is an experienced and credentialed teacher, who had worked daily with Student on his academic skills for almost seven months at the time of hearing, and testified persuasively. Her testimony concerning Student’s academic performance, educational needs and attention needs was accorded great weight. She also worked with Student in small groups, and her testimony regarding Student’s social needs at school was also given great weight. 43. Student’s speech and language pathologist, Christian, received her bachelor’s degree in communicative disorders in 1984, and her master’s degree in speech language pathology in 1985. She has held a certificate of clinical competence in speech pathology since 1986, and a language, speech, hearing credential since 2003. Christian earned her current California teaching credential in speech-language pathology in 2009. She has extensive experience in diagnosing and providing therapeutic speech and language services to children with a variety of communication disorders. She has worked as a speech and language pathologist in school settings for over 10 years, addressing students’ fluency, language and articulation. She has training and experience in working with students with apraxia, and has a certificate to utilize a technique called “PROMPT” that benefits children with apraxia. 44. In addition to her credentials and experience, Christian has worked with Student throughout his first, second and third grade, and her testimony on Student’s educational needs in the areas of speech and language, attention and socialization skills was given great weight. Although Walls and Nolan are clinical speech pathologists, and have also worked with Student for many years, they are not credentialed general education or special education teachers, and do not work with student directly in the school setting. Therefore, Christian’s opinions regarding Student’s functional skills and needs in the school setting, and the services Student needs to benefit from his educational program, were accorded greater weight than those of Walls and Nolan, when Walls and Nolan offered opinions on such matters. 45. Innovative’s director, Walls, has a bachelors’ degree in speech and hearing sciences, and a master’s degree in speech pathology and audiology. She worked as an elementary school speech pathologist for school districts between 1993 and 1995, and has many years of experience providing SL therapy in clinic and home settings. She founded Innovative in 2001 to use the “latest and greatest” evidence-based strategies to maximize their client’s abilities and remediate areas of deficit. Walls testified passionately and persuasively that Innovative strives to develop the most effective programs and accommodations to ensure that Student reaches his highest ability level. Walls has developed a motor learning theory to maximize Student’s output, and uses ABA data recording to monitor Student’s progress, which she believes makes her program more accountable. Walls is not just concerned with Student’s academic skills such as reading fluency, she wants to remediate any deficits resulting from Student’s apraxia. 46. Walls is familiar with the privately-funded home and clinic programs developed for Student, and was part of the IEP process in October 2011. Her testimony regarding Student’s abilities, Innovative’s programs, and Innovative’s interactions with District were given great weight. However, Walls is not a credentialed general education teacher, nor a credentialed special education teacher, and she freely admitted that it was her desire to maximize Student’s potential and his total program of services. These factors were taken into account when considering Walls’ testimony on Student’s educational needs and appropriate supports, and as such, her opinions were accorded less weight than that of the credentialed and experienced educators. 47. Lovick, Harway, and Christian meet at least weekly to collaborate on Student’s educational program. They also consult for 30 minutes each month with District occupational therapist Keri Cummisky (Cummisky) pursuant to the terms of the October 26, 2010 IEP. 48. Because they work on the same campus, Lovick, Harway, Christian and Cummisky (and school psychologist Andrew Sellers) also meet informally throughout the week to discuss strategies and techniques for making their students, including Student, successful at school. Cummisky set up a corner of the Learning Center as a calming area where Student could take a “sensory break,” and do exercises or relax, which Harway opined had met Student’s sensory needs in the Learning Center. Aide Peterson was critical of Cummisky for not providing direct services to Student in the classroom, without regard for the IEP consult provision. Peterson testified at hearing that he had noticed Student squinting at the SmartBoard in the classroom and copying work sloppily, but rather than bringing this to the attention of District staff, unilaterally accommodated Student by having Student’s desk moved closer to the board and clearing Student’s line of sight. Peterson is not a credentialed occupational therapist, and his opinions regarding Cummisky’s implementation of the IEP’s OT collaboration support were accorded very little weight. 49. At the beginning of Student’s third grade year, District occupational therapist Jordan met with Student’s case manager Harway, and provided her with a variety of sensory items for Student, including vestibular cushions, foam blocks, fidgets (squishy balls), therabands (stretchy rubber tubing) and Velcro, and explained how to use them to best effect with Student. Jordan met with Cummisky to familiarize her with Student’s sensory needs after Cummisky started at Hope Elementary a few weeks into the 2011-2012 school year. 50. By his third grade year, Student was not using his iPad as a SGD. Instead, his Parents had downloaded pictures and videos of Student engaging in exciting activities, like riding a horse, and Student used the videos on his iPad to attract the attention of others. When his peers or an adult were looking at the pictures, Student would speak about what was happening in the video. District has an iPad in Lovick’s classroom for Student’s use, although visual scripts are more accessible, easier for Student and his peers to use and adaptable to the classroom. 51. General education teacher Lovick conducts “Fun Friday” for 20 minutes in her classroom every Friday afternoon. This is an unstructured activity, and the students play games, interact with each other, and generally enjoy the free time. Christian comes into the classroom to use Fun Friday as the group speech session for Student, both to reduce the number of pull-outs, and because it is a natural time to work on Student’s social language skills and verbal interactions. Christian works with Student throughout the week on written conversation “scripts” that provide guidance in two-way social exchanges with adults and peers. On Fun Friday, she also lets Student use his iPad to initiate conversations. 52. On September 23, 2011, Innovative assigned a new clinical occupational therapist, Mary Katherine Patten (Patten), to implement Student’s privately-funded clinical OT program. 53. Patten has a bachelor’s degree in occupational therapy, and a master’s degree in public administration/public health, and has been a licensed clinical occupational therapist for 15 years. She has extensive experience working with children with autism. 54. Patten promptly requested that Student’s general education teacher, Lovick, complete a Sensory Processing Measure (SPM). Lovick’s responses resulted in scores for Student in the interpretive range of “typical” in the areas of visual and touch, “some problems” in the areas of body awareness, balance and motion, and planning and ideas, and “definite dysfunction” in social participation and hearing (Student hums and makes loud or unusual noises). 55. District occupational therapist Cummisky asked Innovative for a copy of the SPM report before the September 27, 2011 IEP team meeting, but never received it. Patten testified that the SPM scores may raise concern regarding Student’s motor planning and body awareness, and Student’s ability to engage socially, with possible hyposensitivity to hearing sensations. However, Patten did not write a report interpreting the scores or making recommendations, and the SPM results were never provided to Student’s IEP team. 56. On September 27, 2011, the IEP team met to develop Student’s annual IEP. The attendees included Father, Mother, aide Peterson, NPA supervisor Nolan, Innovative director Walls, speech therapist Christian, general education teacher Lovick, occupational therapist Cummisky, special education teacher Harway, and the Hope Elementary principal and District administrator Tubbs. Walls attended the meeting both as director of Student’s privately-funded home and clinic programs, and as an advocate for Student. 58. Parents articulated multiple concerns at the beginning of the IEP team meeting, and District responded to each one during the course of the meeting, including providing Parents with the English Language Arts/English Language Development Standards Correlation Matrix that Christian was implementing during Student’s SL therapy sessions. District also responded to Parents’ concern that a box of sensory items specially prepared for Student was missing, although District’s subsequent investigation revealed that no such box existed, and that Student was already using the sensory items given to Harway by Jordan. 59. Parents told the IEP team that they wanted Student to have the best chance to succeed. They wanted Student’s distractions limited, did not want him to stand out in a negative manner and wanted District staff to work on Student’s goals in such a way that Student was not left behind. Parents wanted Student seated at the left of the classroom to counteract his “left neglect,”4 communication among all team members, accommodations made during assessments to maximize Student’s abilities, and guidance on how to make accommodations on Student’s homework. Parents wanted flexibility in Student’s pull-out schedule at school, so that Student would not miss special class activities, such as assemblies. Parents told the team that Student’s iPad was loaded with videos of Student, and requested an iPad/AAC plan for the purpose of increasing Student’s interaction with peers. 60. Innovative director Walls presented the team with the results of a vocabulary assessment that she had conducted on Student in summer 2011. She concluded that abstract words were difficult for Student, and that his level of understanding was delayed, but that visual cues enabled Student to perform better with vocabulary. 61. Harway reviewed Student’s progress on the goals in the October 26, 2010 IEP. Despite the passage of only a few months since Parents had consented to the goals, Studenthad already met his behavior and mathematics goals. Student’s reading was “choppy,” although he had made progress and was reading with greater accuracy. Harway described accommodations and modifications to the reading program that was being used for Student’s specialized instruction, including modified vocabulary, comprehension skill activities taken from the support handbook, re-teaching of stories read and instructional assistant support. Modifications to the reading curriculum were necessary for Student when the words or concepts became more abstract. Student struggled with inferencing, and required generalization of words or concepts to help him meet grade level standards. Harway recommended specialized academic instruction for Student for 30 minutes four times a week in the Learning Center, where Harway has three to five students at a time and provides them with extra academic help with the assistance of instructional aides. 3 Mothers’ signature on the IEP that a copy of procedural safeguards was received is dated November 1, 2011. 4 “Left neglect” is a condition in which a person has decreased awareness of things to their left. No evidence of visual neglect was found by Love in her June 2010 exam, and District staff did not agree that Student had left neglect, but District nonetheless moved Student’s desk to the left side of the classroom. 62. Harway reported that with the support of visuals and prompts from teachers and staff, Student was learning important pre-4th grade sentence writing skills. Student tested as basic in writing, and his cursive writing was proficient.5 Harway also reported that Student was doing very well in mathematics. 63. District speech therapist Christian reported on Student’s present levels of performance in the areas of language and speech, including pragmatics and social language. Christian reported that Student is a verbal communicator who benefits from visual scripts and visual cues, which are more accessible and easier to use in the classroom. Student had made significant progress, and was expressing himself more in third grade, and initiating games of tag with his peers during recess, as well as telling adults when he was “all done” with a task or when he found it “too hard.” Student’s articulation improved with gestural cues, although due to his apraxia, Student also substituted and omitted sounds. Student benefitted from prompting to initiate, follow and stay on topic during conversational exchanges. Student exhibited increased understanding of who, what, where and when questions, as well as the positional concepts (on, out, under, off). Student’s vocabulary increased when the words are related to things that are familiar or of high interest to him. Christian opined that Student would benefit from individual SL services for 30 minutes two times per week, and group SL services for 30 minutes one time per week. This recommendation was for the same amount of SL services as provided in the October 26, 2010 IEP, except that 10 of those minutes were now provided in a small group to give Student additional focus on pragmatics and social skills. Christian also proposed goals to address Student’s vocabulary development, concept comprehension, and intelligibility needs resulting from Student’s apraxia. 64. Innovative director Walls provided the team with an OT progress summary, dated September 29, 2011, on Student’s privately-funded OT program, prepared by occupational therapist Patten who was not present at the meeting. The summary described Student’s strengths, including “[h]igh success with visual motor design imitation with high accuracy of orientation and size of complex designs.” Student’s challenges included poor hand strength, poor quality of written work and poor tactile and visual discrimination. Patten recommended monitoring of Student’s visual motor control and addressing “tracking, head/eye disassociation” and visual perceptual abilities. 5 Multiple witnesses testified that Student’s cursive handwriting was a strength. 65. In anticipation of Student’s IEP team meeting, District occupational therapist Cummisky had reviewed Student’s records and observed him in the classroom. Cummisky shared with the team her observations of Student and the information she had gathered from his Jordan and his teachers, which were generally consistent with Patten’s report. Cummisky reported that the sensory strategies in place were addressing Student’s sensory needs well, and that Student had functional visual motor integration, visual perceptual and motor coordination skills for the school setting. Student regularly juggled two balls as part of a calming strategy, and played catch and baseball well, supporting Cummisky’s report. Cummisky opined to the IEP team that OT consultation with Student’s teachers on an asneeded basis would be sufficient to meet student’s sensory and visual-motor needs. 66. Cummisky has a master’s degree in occupational therapy, and has taken continuing education courses in cognitive and visual deficits and visual processing disorders, and has worked for the District for the past two years. She is knowledgeable concerning the sensory needs commonly seen in children on the autism spectrum, as well as the sensory tools and strategies to address those needs. At the time of hearing, Cummisky had observed Student at Hope Elementary and had consulted with Lovick, Harway and Christian concerning Student’s occupational and sensory needs for approximately seven months. Cummisky was on the Hope Elementary campus two to three days per week. She is familiar with the Berry VMI and trained in its use. Her opinions on Student’s visual motor, visual perceptual, motor coordination and sensory needs were given significant weight. 67. Student’s general education teacher, Lovick, reported that Student was eager to please and enjoyed earning “happy faces” or “smilies” for tasks completed. She noted that Student benefitted from structure and predictability in the classroom, and occasionally called out or hummed during unstructured class time or when she was reading to the class, but did not engage in misconduct or behaviors that impeded his learning or that of others, although he needed frequent redirection for attention to tasks. Student could attend better when information was presented in smaller “chunks,” and plain paper or folding was used with classwork to ensure that only one problem was in Student’s view at any time. Student was friendly and would initiate a greeting with peers and adults, and would initiate simple conversational exchanges with prompting and visual scripts. Student had recently learned how to ask peers to play “chase.” Student was responsible for his class materials, modeled his peers to complete a task, and was able to transition and follow his visual schedule sometimes independently. Student was making significant progress in academics and functional skills, but Lovick concluded that Student continued to need the support of an instructional assistant throughout the school day. 68. The District offered Student placement in general education at Hope Elementary. To support Student’s full inclusion in general education, the IEP team determined that Student requires specialized academic instruction in the Learning Center6 for 30 minutes, four times a week, and language and speech services in a group for 30 minutes one time a week and individually for 30 minutes two times a week. The IEP also notes that the team had agreed that Student is to remain in his general education classroom for core academics and other preferred activities, with pull-outs minimized as much as possible. 69. The IEP Team addressed Student’s visual motor, visual perceptual and sensory needs, by adding specific supports to the IEP, including: OT consultation with Student’s teachers (per teacher, request, as needed), visual cues on Student’s desk, presented in a vertical plan (as needed, throughout day), one-on-one instructional aide for classroom support in general education (five days/week, school hours), sensory strategies (as needed, for two to three minutes), visual schedule (daily, for three minutes), simplified instructions and extra processing time (daily, for three minutes), visuals for vocabulary, including word banks, pictures and realia7 (as needed, five to ten minutes), testing by staff for supervision (as needed, throughout school day), reduced visual field (daily, three minutes), reinforcement system (daily, two minutes) and AAC/iPad provided by parent to facilitate social interaction (one day/week, 20 minutes). The IEP team added that all supplementary aids, services and supports are to be provided in the classroom or at the school site, and the IEP also provides that Student is to be given testing accommodations for the California Star Testing in English language arts and mathematics by allowing him to mark his responses in the test booklet with transfer of answers to the answer sheets by authorized staff. 70. The team considered state assessments, on which Student had tested far below basic in both English language arts (ELA) and mathematics. However, the team determined that future state ELA and mathematics testing of Student would be conducted with identified testing accommodations, which addressed Parents’ concerns regarding maximization of test results. The team concluded that Student did not require assistive technology devices or other services. 71. The IEP team documented in the IEP the teachers’ reports that Student did not engage in misconduct or behaviors that impeded his learning or the learning of others. 72. The team developed annual goals in Student’s following areas of need:8 (1) reading comprehension (Student will identify the main idea given a reading passage at his instructional level); (2) written language (after pre-writing activities and with the support of sentence frames, graphic organizers and transition words, Student will generate a foursentence paragraph on a selected topic); (3) reading (Student will pronounce two to three syllable words with visual or gestural cuing when reading material at his instructional level); (4) vocabulary development (Student will identify a variety of 2nd grade word antonyms and synonyms in a field of three choices read orally); (5) comprehension of question forms (Student will provide a verbal or written response to a mix of basic “What do when?,” “What do you feel?,” “What do you need?” and “When?” questions presented visually in writing or with a picture); (6) concept development (Student will demonstrate understanding of a variety of basic positional concepts after looking at a picture and verbally responding to “Where is __?” using a complete sentence); (7) pragmatics-social language (during a structured activity, Student will initiate a conversational topic, ask for information from a peer and make a comment when provided with a list of conversational topics, visual cue cards and/or AAC device); (8) articulation (Student will articulate a variety of /s/ clusters, /n/, /w/, /r/, /l/, /th/ and /z/ in the initial position of words spoken in short controlled sentences); and (9) written language (with the support of a sentence frame and word bank, Student will generate a five to seven word grammatically correct sentence, statement, question or exclamation). These goals addressed Student’s academic need to acquire grade level vocabulary and conceptual understanding, as well as Student’s functional need for appropriate conversational content, intelligibility and conversational skills to increase social interaction. Each of these goals includes specific measures for determining progress, and is designed to enable Student to be involved in the general curriculum and to progress on identified state standards. 6Stated on the IEP as “Service provider location,” below the reference to the Learning Center. 7 “Realia” refers to physical, three-dimensional items. 8The content of the goals is paraphrased and summarized. 73. The IEP provided that Student’s progress on each goal would be reported three times during the school year, and would be measured by work samples or teacher data records in accordance with the objectively measurable criteria specified for each goal. 74. The IEP team discussed a transition from an NPA instructional aide to a District aide. Kyle Gailbart, an instructional aide already working in Lovick’s classroom, was familiar to Student and District was prepared to assign her to Student. District recommended a two week transition, from October 3 to October 14, 2011, during which time the NPA and District instructional aide would overlap, and after which time the District instructional aide would provide all one-on-one instructional support. 75. The IEP team did not complete its review and discussion during the three-hour meeting on September 27, 2011, and the IEP team meeting was continued to November 1, 2011. 76. On the evening of the September 27, 2011, Mother asked Patten at Innovative to reassess Student on visual and motor skills. Student’s assessment was conducted that night by Patten between 5:00 pm and 6:00 pm, after Student had completed his school day and a session of clinical speech therapy. 77. Patten administered the Berry VMI to Student, who scored in the average range in visual motor integration, but below average in visual perception and very low on motor coordination. Patten believes that the Berry VMI doesn’t address visual perceptual skills well enough, so after she administered the Berry VMI, she administered the Developmental Test of Visual Perception (DTVP-2) to Student. Patten testified that the DTVP-2 is “a lot more difficult” than the Berry VMI because it has multiple shapes and more items on each page. The score sheet from the DTVP-2, but not the Berry VMI, was provided to the IEP team at the reconvened meeting on November 1, 2011. Patten did not prepare a report interpreting the TDVP-2 results or attend the IEP team meeting. 78. On October 18, 2011, Tubbs emailed Parents to discuss the instructional aide transition. Parents responded that they wanted to complete the IEP prior to discussing the transition. 79. Throughout October, Christian corresponded with Walls concerning Student’s proposed goals, and on October 30, 2011, Walls approved the goals with the exception of goal number six, which was subsequently modified in accordance with Walls’ comments. 80. The IEP team meeting reconvened on November 1, 2011. The meeting was attended by Father (by telephone), Mother, Nolan, Tubbs, Lovick, Harway and Christian. 81. Mother provided the team with the DTVP-2 score sheet, but Mother did not inform District in advance that she was bringing the scores, and District did not have an opportunity to arrange for an occupational therapist to interpret the scores for the IEP team. The IEP team was not able to, and did not, consider the uninterpreted scores. 82. At the November 1, 2011 meeting, Parents’ primary concern was the proposed transition from NPA instructional aide to District instructional aide, which Parents opposed. The District addressed its transition plan offer in “IEP Team Meeting Notes” section of the IEP as follows: “The district still believes that they are able to meet [Student’s] educational needs with a district 1:1 instructional aide and the support services provided by the special education staff at Hope Elementary. The instructional aide will work under the direction of the special education teacher at Hope to provide educational services….District will provide a written transition plan with a December 5th start date to include an overlap of district instructional aide working with the current agency aide until December 22nd. The plan will include the district instructional aide working January 9th as [Student’s] sole instructional aide.” The transition plan did not contemplate the District aide learning ABA methodologies for taking data. 83. The IEP offered placement in a general education classroom; a full-time one-on-one instructional aide; four 30-minute sessions of specialized academic instruction per week; two 30-minute sessions of individual SLT per week; one 30-minute session of group SLT per week; and 30 minutes per month of OT consultation. As noted above, the District was willing to further memorialize the aide transition plan if the IEP offer was implemented. 84. The IEP did not offer an ABA behavioral program to Student. The IEP offered Student a full-time adult instructional assistant to be supervised by credentialed teachers. 85. Parents did not sign their consent to the full IEP that day, but Father consented by telephone to implementation of the goals, and Mother wrote on the IEP “goals only approved.” Parents did tell the team that they would consider consenting to the transition to a District aide with a guarantee that the aide would not be changed during the school year. 86. On November 18, 2011, Tubbs met with Parents. That same day, Tubbs emailed the Parents, consistent with what had been offered at the November 1, 2011 IEP team meeting, a plan for transitioning from an NPA instructional aide to a District instructional aide over a three-week period, from December 5 through December 22, 2011. While slightly more detailed than the plan in the IEP Team Meeting Notes, Tubbs’s email was a revision of a transition plan developed earlier while Student was in second grade, calling for a two-week transition during which the NPA aide and District aide overlapped the entire time. The plan calls for the District aide to shadow the Innovative aide, discuss strategies and techniques with the aide and the reasons they work for Student, with the Innovative aide eventually being elsewhere on campus and then only available by telephone. 87. On December 5, 2011, Father reaffirmed in an email to Tubbs that Parents agreed with the goals in the IEP. However, in that same response, Parents indicated that they did not want Student to transition from an NPA aide to a District instructional aide. District then filed its due process complaint. 88. At hearing, Dr. Judith Sylva (Dr. Sylva) testified for Student. Dr. Sylva obtained a bachelor’s degree in psychology in 1992, a school psychologist credential in 1997, and her doctorate in education in 1999. She has written extensively on early behavioral interventions for children with autism, has run college programs for teacher credentialing in the field of special education, and she has been a tenured professor in the special education department of California State University, San Bernardino since 2008. She worked from 1996 through 2002 for public educational agencies on developing IEPs, functional behavior assessments, and positive behavior intervention plans, and trained staff on ABA techniques. She has been a supervisor and consultant for intensive behavioral interventions, and a trainer on ABA techniques, for the Riverside County Office of Education since 2007. 89. Dr. Sylva observed Student at Hope Elementary on March 26, 2012, in anticipation of her testimony at hearing. She observed Student for two hours, and was impressed with Student’s use of language. Student was more verbal than she had expected, easily interacted with adults, was happy, comfortable and transitioned with ease. Student knew his way to the Learning Center, and Harway exhibited appropriate control of the environment and worked well with Student. Student cooperated and responded verbally and in writing to Harway, although Student needed frequent redirection. Student made a smooth transition to the general education classroom without prompting. In Lovick’s classroom, Student got his materials out independently, although he needed some prompting to find his place in the materials, and followed along with the class. The class had previously covered the lesson, perhaps while Student was on vacation the week before, and Student did not respond when the teacher called on him. At recess, Student and Peterson sat alone for a snack, but after Peterson brought a basketball to student, Student shot baskets. 90. In response to hypothetical questions regarding Harway’s credential, Dr. Sylva explained that California now requires an “autism authorization” for older credentials unless that teacher qualifies for one of several exemptions, such as experience working with children on the autism spectrum. Dr. Sylva did not know what credentials Harway possessed, or whether an exemption had been granted, and this testimony constituted no more than speculation based upon inadmissible hearsay as to Harway’s qualifications. 91. Dr. Sylva opined knowledgeably that data for IEP progress needed to be taken at regular intervals, but that data on prompting is usually for the benefit of a program supervisor of an ABA program. She considers different training among staff a good collaborative opportunity, but feels that an aide working with an autistic child in a general education classroom needs to be well-trained, because a general education classroom does not offer the support of a special education teacher, other aides or the structure of a special day class. Her testimony was given some weight due to her experience in program development, but Dr. Sylva is not a credentialed general or special teacher and her experience is primarily in implementation of behavioral programs. Therefore, her opinions regarding Student’s educational needs, and whether District’s offered program was appropriate as a whole, were given less weight than those of District’s credentialed teachers. 1. District contends that its offer of placement and services in Student’s annual IEP, dated September 22, 2011, and developed on September 27 and November 1, 2011, constitutes a FAPE in the LRE, as it offered an appropriate general education placement and services to address Student’s unique needs. Student disagrees, and contends that Parents were deprived of a meaningful opportunity to participate in the IEP decision-making process, that District did not develop appropriate goals to address Student’s social skills, vocabulary or apraxia, and that District failed to develop or offer appropriate programs for Student’s aide services or AAC device.9 Parents also contend that the IEP was insufficient because District’s FAPE offer is not embodied in one IEP document. 9 Student submitted with his closing brief, as an additional exhibit, certain California common core content standards. These standards were not produced at hearing, and no testimony authenticating these standards, or explaining their use or relevance was offered, and so this late filed exhibit was not considered. 10 All subsequent citations to the Code of Federal Regulations are to the 2006 edition, unless otherwise indicated. 17. The totality of the evidence showed that Student’s IEP team meetings on September 27 and November 1, 2011, were procedurally proper. 18. First, Student had been comprehensively assessed in all areas of suspected disability prior to the IEP team meeting. As set forth at Factual Findings 9, 10, 11, 14, 22, 60, 61, 62, 63, 64, 65 and 67, the September 27, 2011 IEP team had an extensive amount of information from District and Parents on Student’s academic achievement, cognitive development, learning ability, visual perceptual skills, fine motor coordination and visual motor integration skills, speech and language development, and social skills. 19. Jordan, a qualified person knowledgeable concerning Student’s disability, had competently and properly assessed Student’s visual motor integration, visual perceptual and motor coordination using a variety of appropriate assessment tools and strategies, and had prepared a report reviewed by District and Parents in March 2011. 20. District conducted psychoeducational, speech and language and academic assessments in 2009 for Student’s triennial IEP, to the extent possible before Parents revoked their consent and provided the results of UCLA’s September 2009 assessment of Student’s independent functioning, cognitive, and academic achievement. The IEP team also had Love’s June 2010 exam of Student’s visual efficiency and visual perceptual motor skills, Wall and Nolan’s January 2010 assessment of Student’s expressive and receptive speech, intelligibility and pragmatic language skills, and Innovative’s reports on Student’s progress in his home and clinic programs during the 2010-2011 school year, and over summer 2011. Importantly, three team members, Walls, Nolan and Christian, had worked with Student throughout his first, second and beginning of third grade years, with speech therapists Nolan and Christian providing their services in the school setting.11 The IEP team included individuals with extensive knowledge and special expertise regarding Student, and had sufficient information on all Student’s areas of suspected disability to develop a program reasonably calculated to confer some educational benefit to Student. 21. On November 1, 2011, the IEP team also received Student’s scores on the DTVP-2 administered by Patten on September 27, 2011. As set forth at Factual Findings 77 and 81, those scores were presented without explanation or recommendations, and in a format that could not be considered without advance notice and result interpretation. However, as the IEP team already had extensive and recent testing on Student’s visual perceptual and motor coordination skills, it did not need to consider Patten’s incomplete DTVP-2 information, or delay the IEP team meeting for a second time to interpret the results of a third visual perceptual assessment, prior to developing an educational program reasonably calculated to confer some educational benefit. 22. District also demonstrated that the IEP was conducted with proper notice and that the right people attended. As discussed at Factual Findings 27, 56 through 60, 64 and 78 through 82, Parents were notified of the September 27, 2011 meeting date in May 2011, were offered procedural safeguards, and actively participated in each of the meetings. Innovative also participated in the development of the IEP on behalf of Parents, through both the attendance of Walls and Nolan as advocates for Student, and the collaboration between Walls and Christian in refining the proposed goals between the September 27 and November 1, 2011 meetings. 11 Nolan provided aide supervision services to Student in both his school and home programs. She also provided SL therapy to Student in a clinical setting, but not the school setting. 23. Student contends that despite their participation in the September 27 and November 1, 2011 IEP team meetings, District failed to procedurally comply with the IDEA by: (i) not including parents in the development of the transition plan, and by (ii) failing to consider Parents’ counterproposal for the transition plan, failing to provide them with prior written notice of rejection of their counterproposal, or convening an IEP team meeting to consider their counterproposal. However, as set forth at Factual Findings 19, 20 and 27, the transition of aide services had been a topic of discussion for over a year by the time of the IEP meetings at issue and had been discussed at prior meetings. At the meetings at issue, Parents had more than an ample opportunity to participate in the IEP development, and the IEP documents Parents participation, including their stated preference for an NPA aide, and a request for a guarantee that the District aide would not be changed during the school year. To the extent Student is critical of the content of the post-IEP discussions between Parents and principal Tubbs, this contention does not demonstrate that the IEP at issue was procedurally improper. The meeting and emails between Parents and principal Tubbs were not part of the IEP team meeting, nor are Tubbs’ emails part of the District’s IEP offer. Accordingly, these criticisms do not demonstrate that the development of the September 27 and November 1, 2011 IEP offer was procedurally improper. Whether the transition plan in the IEP was sufficiently described to meet the procedural requirements of the IDEA, or whether the transition plan met the substantive requirements of a FAPE for Student, are discussed separately below. 24. The IEP contains the necessary statement of Student’s present levels of academic achievement and functional performance, including how Student’s disability affected his involvement and progress in the general education curriculum. It sets out detailed summaries of Student’s academic performance in reading, written expression and mathematics, and of Student’s communication development, gross/fine motor development, social/emotional/ behavioral skills, health, pre-vocational/vocational abilities and adaptive/daily living skills. Consistent with these academic and functional levels, the IEP accurately identifies that Student needs support in reading comprehension, vocabulary, interpreting math concepts, written language and behavior/attentiveness to be able to access the general education curriculum. 25. District persuasively demonstrated that it designed meaningful annual academic and functional goals to meet each of Student’s needs and to enable Student to be involved in the general education curriculum with the related services offered. As set forth in Factual Findings 60 through 65, 67 and 72, the IEP team developed goals in all Student’s areas of need, including reading, reading comprehension, vocabulary development, comprehension of question forms, concept development, pragmatics/social language and written language. These goals were revised multiple times at the request of Walls, who ultimately approved all of the goals, and the goals were consented to by Parents at the IEP team meeting. The goals for vocabulary, comprehension and concept development, pragmatics and articulation targeted not just Student’s academic need to acquire grade level vocabulary and conceptual understanding, but his functional need for appropriate conversational content to increase socialization with his peers. 26. Student contends that the IEP team did not develop an appropriate social skills goal, because goal number seven, concerning conversational exchanges with peers, does not incorporate Student’s iPad as an AAC device, the use of which Parents intended to “go way beyond just greetings and not be limited to initiating and commenting as set forth in goal #7,” and “give [Student] a chance to talk about himself.” District is not required to use the iPad to achieve conversational exchanges, even if the iPad provides a better or more interesting means of initiating conversations. (See Gregory K., supra.) Even so, as set forth at Factual Findings 14, 51, 52, 64 and 68, the evidence showed that the iPad programs can be accidently (or intentionally) deleted, and that the iPad needs to be kept safely in Student’s backpack and is less accessible than paper scripts. Student’s argument that the social skills goal should require use of a device that gives Student opportunities to “talk about himself” is unpersuasive, as the result is a monologue, rather than the conversational exchange targeted by the goal. In any event, Christian testified that this goal expressly provides Student with an opportunity to use his iPad to initiate conversation with peers on preferred topics, and takes advantage of the iPad’s “cool factor” as well as providing educational benefit. Christian testified that she works on this goal in the general education classroom as a push-in service, and persuasively explained that Student is learning to use scripts and visual cue cards for more complex conversational exchanges that will allow him to eventually interact and initiate conversations with his typical peers without the scripts. Nolan opined at hearing that this goal “seems appropriate,” and Walls deemed it “fine” in her email correspondence to Christian between IEP team meetings. (See Factual Finding 79). To the extent Student contends that an AAC plan was a necessary component of the IEP, school districts are not required to include methodology in the IEP, and Student’s own expert Dr. Sylva testified that an IEP need not include a lesson plan for achieving a goal. The totality of the evidence establishes that annual goal number seven is an appropriate goal and addresses Student’s need for social skills, despite the fact that it does not requiree use of an iPad. 27. Student also contends that District failed to develop an appropriate vocabulary goal, that is, that no annual goal includes a reference to core vocabulary, nouns, pronouns, verbs and adverbs. However, as set forth at Factual Finding 72, annual goal number four addresses Student’s vocabulary development by requiring him to identify a variety of second grade antonyms and synonyms when provided with three orally read choices. Harway testified that Student understood 49 percent of grade level 2.0 vocabulary from the CORE assessment. Speech pathologist Christian, who is responsible for this goal with Harway, explained that working on this goal addresses Student’s need to develop spoken vocabulary and acquire a general knowledge of words that he will see in the curriculum. Christian, a credentialed speech and language pathologist, testified that vocabulary is already addressed as part of the third grade curriculum, but that synonyms and antonyms were identified for this goal because they are difficult vocabulary words to conceptualize although commonly used in conversations, and that goal number four appropriately addressed Student’s need for additional instructional assistance on this complex set of vocabulary words. 28. Walls opined that an appropriate vocabulary goal would require Student to identify parts of speech, adverbs, word meaning from context and inferences from context, that is, more than just antonyms and synonyms. However, a district is not required to develop goals for areas covered by the general curriculum for which the student needs only accommodations and modifications. (Fed. Regs., Appendix A, Part 300 – Assistance to States for the Education of Children with Disabilities (1999), discussing language also contained in the 2004 reauthorization of the IDEA at 20 U.S.C., § 1414(d)(1)(A)(i)(II). Although both Nolan and Walls are speech pathologists, as set forth at Factual Findings 13 and 46, neither of them hold a teaching credential and they have never taught third grade, and their opinions regarding the appropriateness of this curriculum-related academic goal were not as persuasive as those of Harway and Christian. Also, per Factual Finding 79, Walls had been active in refining the goals between IEP meetings, and had responded to Christian in October 2011 that proposed goal number four was “good, [n]o concerns,” so her contradictory testimony at hearing was afforded little weight. The evidence establishes that vocabulary goal number four is appropriate and addresses an area of need for Student. 29. Student contends that District failed to develop an appropriate goal to address Student’s apraxia. Student argues that Walls was the “most knowledgeable individual regarding apraxia” to testify at the hearing, and the most knowledgeable concerning Student’s apraxia, and that she testified that the District’s approach of having Student repeat words until he could state them clearly did not address Student’s motor planning deficit. Walls opined that her preferred program on motor learning would best address Student’s apraxia, to maximize his output and remediate Student’s deficit in planning output of verbal speech. 31. As discussed above at Legal Conclusions 24, through 28 and 30, not only did the IEP contain appropriate goals in all areas of need, the IEP adequately describes how Student’s progress toward meeting the annual goals will be measured, and provides that Parents will be informed of Student’s progress on a quarterly basis. Student’s annual goals are to be measured against objectively measurable criteria specified for each goal as set forth at Factual Finding 73, using teacher charted data, teacher data records and work samples. 32. The IEP also meets the requirement of including a statement of the special education and related services to be provided to Student, as well as specifying the frequency, duration, and location of those services. As set forth at Factual Findings 68, 69 and 83, Student was clearly offered placement in general education at Hope Elementary, with support of specialized academic instruction in the Learning Center. 33. The IEP also clearly documents that District will meet Student’s educational needs with a District one-on-one instructional aide working under the direction of a special education teacher. Contrary to District’s position in its closing arguments, the transition plan in the notes section of the IEP is a part of the IEP offer when read in context, as described at Factual Finding 82. The exact date reference to a plan duration of two-weeks, to include an overlap of aides for a frequency already specified as five days a week for a full school day, under the direction of a special education teacher, with the addition of a date on which the District aide would be implemented as the sole instructional aide, is sufficient to meet the procedural requirements of the IDEA for providing the frequency, location and duration of the related services in the IEP. Whether the description substantively meets Student’s unique needs is discussed at Legal Conclusions 44 through 50. 34. Because the IEP sufficiently documents the transition plan, Student’s contention that District committed a procedural violation by not including the transition plan within the IEP lacks merit. The fact that principal Tubbs emailed some other ideas to Parents after the IEP meeting at which they had not consented to the IEP, as set forth at Factual Finding 86, does not change the analysis of whether the September 27 and November 1, 2011 IEP, as written, offers Student a FAPE. 35. Finally, all other aspects of District’s offered program were adequately stated in the IEP. As set forth at Factual Finding 69 and Legal Conclusion 32, the IEP itemizes supplementary aids, services and other supports and specified the frequency and duration, including visual cues on Student’s desk, presented in a vertical plan, as needed throughout the school day; classroom support in general education five days per week during school hours; implementation of sensory strategies as needed; visual schedule in the classroom; simplified instructions and extra processing time; and a reduced visual field. 37. The evidence showed that the offer of placement in the IEP developed September 27 and November 1, 2011 was appropriate to meet Student’s needs in the LRE. 38. District also met its burden of demonstrating that the placement offer was in the least restrictive environment. The determination of whether a district has placed a pupil in the least restrictive environment involves the analysis of four factors: (1) the educational benefits to the child of placement full time in a regular class; (2) the non-academic benefits to the child of such placement; (3) the effect the disabled child will have on the teacher and children in the regular class; and (4) the costs of mainstreaming the child. (See Rachel H., supra, 14 F.3d at p. 1404.) As set forth at Factual Finding 67, the evidence showed that Student has made significant progress in the general education environment since kindergarten, and is benefitting from placement in Lovick’s general education classroom, where he is happy and well-respected by his peers. The evidence showed that Student was making significant progress not just in academics, but in important functional social and communication skills as well. General education teacher Lovick described Student as eager to please and interacting well with his classmates. The cost of supporting Student in a general education classroom is not an issue in this matter. No evidence was presented by either party to support a contention that any placement other than in general education should have been offered, and this placement meets the LRE requirement of the IDEA . 39. The offer of pull-out specialized academic instruction for four 30-minute sessions per week, as set forth at Factual Findings 61 and 62, was also appropriate. Harway persuasively testified that Student had made progress with additional academic instruction support at this level, and that with the addition of the District instructional aide using Harway’s pre-teaching and re-teaching strategies throughout the day, this service provides Student the academic support he needs without taking him away from the classroom for long periods. 40. The evidence established that the offer of OT consultation as needed as a related service was also appropriate. As set forth at Factual Findings 48, 61, 65, 67 and 71, Student’s visual motor, visual perceptual or motor coordination issues were addressed by the existing menu of supplementary aids, services and supports, and that 30 minutes per month of OT consultation with Student’s teachers would meet his needs and allow him to access the curriculum. Cummisky’s opinion that these supports were sufficient was supported by Student’s Berry VMI, scores in the average range for visual motor integration and visual perception, and in the slightly below average for motor coordination. Peterson testified that he had readily accommodated Student’s in-class visual needs by moving Student or his desk, and the fact that the limited visual fields documented in the IEP specifically addresses Student’s inability to distinguish important information on a busy page as identified by Patten’s DTVP-2, demonstrates that Student’s visual perceptual needs are being met and can be further accommodated as needed with an OT consult. Father’s proud testimony concerning Student’s skill at baseball, and the testimony of Harway that Student juggled balls as one of his calming strategies, also lend credence to Cummisky’s opinion that Student’s motor coordination is functional without requiring OT support. 42. Similarly, District met its burden of showing that its offer of SL therapy services for two, 30-minute sessions of individual therapy, and one 30-minute session of group therapy was appropriate. District speech therapist Christian persuasively explained that, as set forth at Factual Findings 63 and 83, the IEP was offering an increase in group speech time to allow her to provide additional socialization support, and that the amount of individualized services was sufficient for her to work with Student on vocabulary, concept development and articulation to meet all Student’s speech and language needs to access the curriculum and receive educational benefit. Although Wall opined that three to five hours of SL therapy would be the “best practice” for treating a child who is severely apraxic, District is not required to adopt best practices, only to provide a sufficient amount of related services to support the specialized instruction in order for Student to get some educational benefit within the meaning of Rowley. Christian is a speech pathologist with education, experience and training in working with children with apraxia, and has worked with Student for over two years in the school setting. Her testimony was given greater weight than Wall, in part because Wall did not include any of the concerns she raised at hearing at the time of her email correspondence to Christian regarding IEP goals on October 18, 2011. 43. The evidence showed that the offer of a full-time, one-on-one aide at the direction of credentialed teachers was appropriate to provide Student a FAPE. As set forth at Factual Findings 48, 63 and 67, the IEP team documented in the IEP that Student did not engage in behaviors that impeded his learning or the learning of others, and Lovick, Harway and Christian persuasively testified that Student required focus and redirection, but did not have disruptive behaviors beyond occasional humming during unstructured classroom time or when the teacher was reading aloud to the class, and occasional tears when frustrated. By the time of the September 27, 2011 IEP team meeting, Student had met the current behavior goal of independently following the routine, staying with his class and transitioning with the class without a prompt, after working on that goal in school for only three months of the school year. Lovick, Harway, Christian and Cummisky testified consistently that the visual and sensory aids in place for Student, such as visual schedules, reduced visual field, lap weight, and foam foot rests, have successfully addressed Student’s visual perception and sensory needs in the classroom, but that Student still needs frequent redirection and assistance with social communication, warranting a full-time, one-on-one aide for Student. 44. The testimony of Walls and Nolan that an NPA aide trained in data collection was necessary to support Student in his school program was simply not supported by the facts or credible. As set forth at Factual Findings 28, 29 and 35, although Nolan instructed Student’s aides to take data throughout the school day, that data was not shown to the teachers, but given directly to Innovative every week. District was required to make a written request to Walls to obtain the data, and Walls testified that she would “filter” the data even if such a request was made. Thus, the evidence showed that the data collected by Innovative had not been used to support the classroom instruction. 45. Nolan testified that she used the data collected by Student’s aide to determine Student’s progress on his goals for the home program, but did not provide examples of how, or whether, she used the data from Student’s educational program to measure his progress on IEP goals or obtained any results different from those gathered by Student’s teachers using teacher data and work samples. As set forth at Factual Finding 91, Student’s expert Dr. Sylva testified that data is taken throughout the day for behavioral program supervisors, and is not necessary to chart progress on goals, which can be done periodically throughout the year with work samples and testing by the teacher. District teachers are mandated by the IEP of October 26, 2010, and by the IEP of September 27 and November 1, 2011, to measure Student’s progress on goals with periodic work samples, teacher data and teacher-charted data. As set forth at Factual Findings 18, 40 and 84, Student’s evidence did not show that collection of data by the instructional aide was necessary for Student to be educated and participate with other children. 46. Lovick, Harway and Christian testified persuasively and consistently among themselves that District instructional aides take direction from the teachers when they are in the teacher’s classroom, and provide redirection for focus, and pre-teaching and re-teaching to support the teacher, not behavior interventions. They also testified consistently and persuasively that the District instructional aides were familiar with the District curriculum, and worked under the teachers’ direction “seamlessly.” Lovick, Harway and Christian also credibly testified that District instructional aides responded promptly to teacher direction, and did not undermine the teachers’ authority in their classrooms or delay in implementing teaching strategies for several days or weeks to discuss those strategies with an NPA supervisor before determining whether the teachers’ directives would be followed, as set forth at Factual Findings 24, 38 and 74. 47. The evidence established that Student needs an instructional aide for attention and social issues, and not to implement a behavior program, as set forth at Factual Findings 48, 61, 65, 67 and 71. Lovick, Harway and Christian testified consistently that Student was compliant, eager to please, and despite some occasional humming and low crying, did not exhibit behaviors that interfered with his access to the curriculum. As set forth in Factual Finding 34, District’s teachers and instructional aides have experience working with children with autism, and as educators they know how to prompt, redirect and focus pupils. The choice of prompts, reinforcers, and techniques to be used by the instructional aide to redirect Student’s attention and support him in social pragmatics is a question of methodology, and the choice of methodology falls within the sole discretion of the district. (Rowley, supra, 458 U.S. at p. 208). Lovick, Harway and Christian explained that the instructional aide would use accommodations such as reduced visual fields, and pre-teaching and re-teaching strategies as directed by the teacher to address Student’s needs and to assist Student in achieving his annual goals. In sum, the evidence presented at hearing showed that Student requires an instructional aide for attention and social support in the classroom and on the playground, not to implement some type of behavior modification program such as ABA. 49. Notably, although the essence of Student’s contentions is that District should have offered some type of supervised ABA behavior program, Student’s witnesses from Innovative did not offer any explanation of exactly what, if any, program was being implemented by Innovative that District should have continued. To the contrary, the evidence established that Peterson was verbally prompting Student in a way that was entirely inconsistent with the prompting hierarchy expressed by other Innovative employees and that Walls and Nolan viewed the supervisor’s role in the school as implementing Innovative’s own program, not providing a program of support for Student’s IEP goals or the general education instruction. 50. Further, not only was the offer of instructional aide services appropriate, the totality of the evidence established that the offer of a two-week plan to transition Student’s instructional aide from an NPA aide to a District aide was designed to meet Student’s needs. As discussed at Factual Findings 15, 16, 28 and 36, Student’s instructional aide had changed every school year while at Hope Elementary, and twice during first grade, and Student had not experienced difficulty with any of those changes. Student did not have any difficulty with Innovative staff providing breaks for Peterson. As set forth at Factual Finding 74, Student is familiar with several District aides who worked on the Hope Elementary campus and in Lovick’s classroom. Nothing in the evidence demonstrated that Student would be less accepting of a District instructional aide than an Innovative aide. 12 Of note, Student’s expert Dr. Sylva testified that Harway worked well with Student during her observation of Student in the Learning Center. 51. As discussed at Factual Findings 18 and 29, Walls and Nolan testified that the pace of the Innovative transition training was dependent upon a new aide’s competence in recording data, not on any objective observations of Student’s comfort level with an aide. With regard to the testimony of Innovative’s staff that four weeks was the amount of time necessary to properly transition an instructional aide, that testimony was unpersuasive because it focused on training an aide in data collection, rather than on meeting Student’s needs, and was contradicted by both Kuzara’s and Peterson’s testimony that they were working alone with Student as new aides in less than two weeks. 52. Based on Student’s history of easily transitioning between aides in less than two weeks, as set forth at Legal Conclusion 50, and the lack of need to train District’s aide in Innovative’s data collection system, Student’s needs would be met by providing Student with a two-week aide transition plan. This was particularly true where the plan as written would occur at a natural break in the school year just prior to the winter recess. 53. The evidence established that beyond the placement and one-on-one aide services, the other supplementary aids, services and other supports offered in the would enable Student to advance appropriately toward attaining the annual goals, to be involved in and progress in the general education curriculum, and to be educated and participate with other disabled and non-disabled children. As set forth at Factual Finding 65 and Legal Conclusions 41 and 42, the visual cues on Student’s desk and presented in a vertical plan, sensory strategies, visual schedule, visuals for vocabulary and reduced vision field were offered in a broad menu of supports that address Student’s visual perceptual and sensory needs, and thereby help him to reach his annual goals and access the general curriculum with typical peers. 54. The evidence establishes that the IEP included a menu of sensory aids and services to support Student’s sensory needs including vestibular cushions, foam blocks, fidgets and a theraband. As set forth at Factual Findings 49 and 65, Student’s teachers had not reported any sensory issues with Student, and she explained that Student’s sensory issues were accommodated in the general education classroom with limits on visual distractions and providing movement breaks and a vestibular cushion for his lap and foam blocks to raise his feet. Cummisky set up an area in the Learning Center that was effective place for Student to take sensory breaks using calming sensory tools and techniques. She explained that across settings, the instructional aide could modify Student’s environment to provide Student with structure and facilitate a quieter environment, thereby including the one-on-one aide in the sensory accommodations. 55. The evidence established that sensory issues have not impeded Student’s function in the classroom, and that the sensory strategies in the IEP are appropriate to meet Student’s unique needs, as set forth at Factual Findings 48, 65, 67 and 71, and Legal Conclusion 41. Although Cummisky has observed Student only a few times in the classroom, her testimony concerning Student’s needs in the classroom was given greater weight than that of Patten, who had never seen Student in the classroom. Cummisky’s opinion of Student’s sensory needs was generally consistent with that of Patten, who found that the SPM raised mild motor planning and body awareness sensory concerns. 56. Walls opined that Student has sensory issues that vary from day to day, and that he needs a written sensory plan and very structured visuals, but her testimony supports rather than detracts from the IEP, which offers visual supports with visual accommodation strategies. Walls’ testimony on Student’s sensory needs was given some weight due to her familiarity with Student, but Walls is not a licensed occupational therapist, there was no evidence that a written sensory plan for Student was necessary or in place for the home program. Walls did not testify to any observations of Student in the classroom that demonstrated that the lack of a written sensory plan had interfered with Student’s ability to derive benefit from his educational program. The totality of the evidence established that the supplementary aids services and supports were appropriate to meet Student’s sensory needs. 57. District’s evidence established that the aids, services and supports offered in the IEP appropriately addressed Student’s visual perceptual and motor coordination needs, as set forth at Legal Conclusion 41. Student’s recent motor/psycho-motor assessment had been conducted by Jordan, a very qualified school occupational therapist knowledgeable and experienced in working with children on the autism spectrum. On the Berry VMI administered to Student by Jordan in March 2011, Student scored average in visual-motor integration, average in visual perception and slightly below average in motor coordination which Jordan attributed Student rushing on that last subtest. As set forth at Factual Findings 25 and 65, Student juggled, played baseball well, and had well-formed cursive writing, all activities indicating good tracking ability and visual motor skills. Jordan and Cummisky opined persuasively at hearing that the supports identified in the IEP, such as reduced visual fields and visual cues on Student’s desk, appropriately addressed Student’s visual perceptual needs, and that Student had functional motor coordination skills and did not require accommodations in that area. 58. The testimony of Student’s private occupational therapist Patten was generally unpersuasive on whether Student had visual motor integration and visual perceptual deficits that interfered with his ability to access the curriculum. Patten is not a credentialed teacher, and has no education, training or experience that would enable her to determine whether Student’s inability to look up at the board and readily copy the work is grade appropriate, as Jordan indicated it was. She also admitted that functional dependence depends upon the function, but she has never observed Student in the classroom. Patten testified that her clinic work was designed to remediate any disabilities Student might have in coordinating his eyes with his body, maintaining sensory composure, or moving his body through space, and that she sought to maximize Student’s independence. Thus, Patten’s opinion was not addressed to whether the level of OT services and the OT accommodations in the IEP were appropriate under the IDEA. As set forth at Factual Findings 64 and 77, Patten’s September 27, 2011 progress report on home OT praised student’s “high success” and “high accuracy” in visual motor design imitation, and on the Berry VMI she administered to Student, at night and after a long day at school and clinical speech, Student continued to score in the average range on visual motor integration. It was only by administering the DTVP-2, which she testified was much harder than the Berry VMI that Patten could obtain a below average score for Student in visual perception. Further, once Patten had that score, she did not write a report or make recommendations to the IEP team. The totality of the evidence established that Student had functional visual motor integration and motor coordination, and that the supplementary aids, services and support identified in the IEP met Student’s visual perceptual needs at school. 59. District’s evidence also established that the supplementary aids, services and supports were appropriate to meet Student’s communication needs. Parents prefer, but Student does not need, an iPad as an AAC device to engage with his peers. As set forth at Factual Findings 14 and 51, Student simply uses the iPad to attract kids to see videos of Student and listen to him talk about himself. District has discretion to choose the methodology for working on Student’s pragmatics/social skills goal, and Student has shown steady progress by using the District’s written scripts to engage in conversation. 60. Student contends that the 20 minutes, one day per week, of “AAC/iPad provided by parents to facilitate social interaction” provided for in the supplementary aids, services and other supports section of the September 27 and November 1, 2011 IEP is insufficient to meet Student’s social skills needs. Student contends that the IEP should have expressly contemplated using the iPad as an AAC device. As discussed at Legal Conclusion 26, speech therapist Christian testified persuasively that Student could initiate the same conversational exchanges with written scripts. Innovative’s AAC assessment of Student had been conducted in 2009, when Student was essentially nonverbal, and was both remote in time and no longer accurate with regard to Student’s abilities or needs. As set forth at Factual Finding 50, by the time of the IEP team meetings in late 2011, Student was verbal and did not require a sound generation device. Moreover, the IEP team was aware that Student’s use of an iPad could be distracting and created problems such as Student erasing programs. The written scripts serve the same purpose in addressing Student’s language and social skills needs, and whether Student addresses these needs with an iPad or written scripts is a choice of educational methodology. District’s offered Student a FAPE in the LRE in the IEP dated September 22, 2011, and developed on September 27 and November 1, 2011. The IEP dated September 22, 2011, and developed on September 27 and November 1, 2011, may be implemented without parental consent. Pursuant to California Education Code section 56507, subdivision (d), the hearing decision must indicate the extent to which each party has prevailed on each issue heard and decided. Here, District was the prevailing party on the sole issue presented.